Once again, the copy I am reviewing was generously provided by Potter Craft. 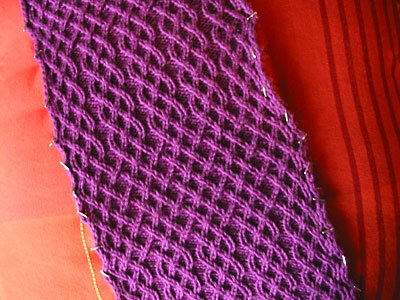 Tweed is a combination knitting history/pattern book scheduled to be released on Tuesday. If you pre-order it now, Amazon will give you an extra 5% off. Pattern: My own, download it for free here! I finished Shedir before leaving for Thanksgiving and I’m still waiting for someone to take a picture of my head. I tried to do it myself, but it’s hard to see the cable detail in the blurry mess. 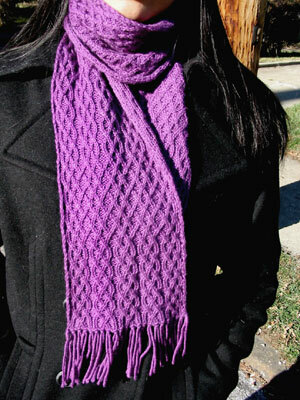 In the meantime, what better to go with a new winter hat than a new winter scarf?